excellent guide! but poorly overall tour organisation. 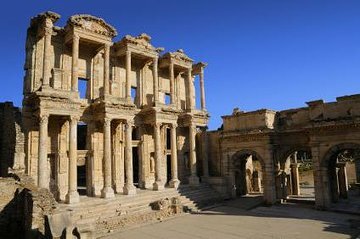 Without detracting from the magnificence of Ephesus at all, unfortunately this tour was very disappointing. Marketed as a full day tour of Ephesus, we spent more time at various money-spinning locations a jewellery factory, specialty food store, lunch, and a mosque, than actually at Ephesus. The tour guide was belligerent, disinterested, smoking and talking on his phone during presentations and going into roped off areas at Ephesus. He treated us like children. I will definitely be back to Ephesus in the future, but will research my tour much more carefully.